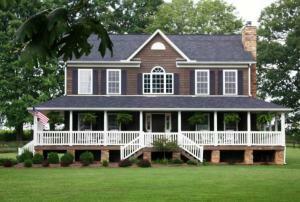 This home has it all, pasture land, spring fed pond (stocked), open floor plan, fireplace, covered front porch. 2 main bedrooms (1 up 1 down), hardwood floors, solid surface counter tops. Large Oak Tree's, all on approx. 10 acres. Great location if you have horses. Fenced lots. Call today to see this home. Click here to learn more.